For the love of life: Cheery Lynn Designs: Seasons Greetings! 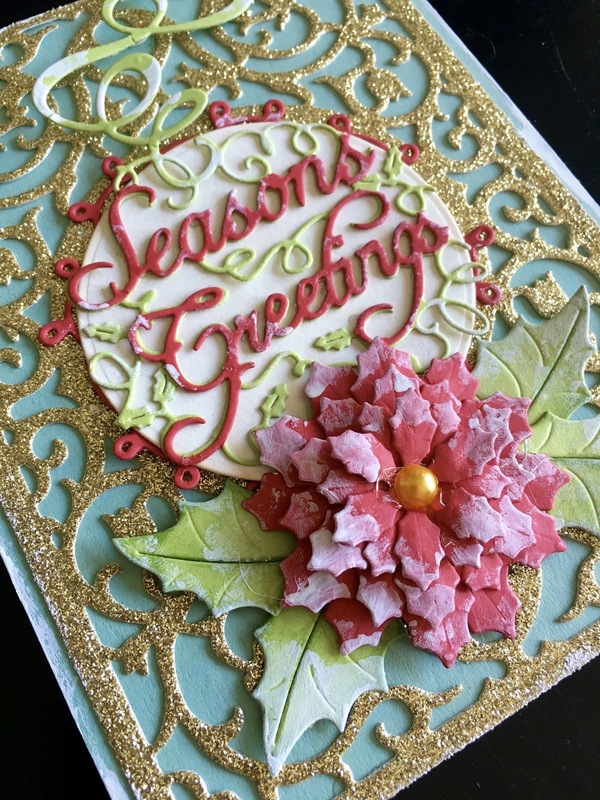 Cheery Lynn Designs: Seasons Greetings! Hi there, today I have a sparkly card to share with you. I love playing with glitter card stock, so the highlight of my card is just that. To start out my card I created an A2 card base out of mint green. Than I die cut a Card Cover Maker #1 out of gold glitter card stock. I die cut Seasons Greetings Ornament twice, once out of green and again out of red and paper pieced the red onto the free to make the sentiment pop. Than I die cut a Circle out of cream card stock and the circle shaped doily from the Dutch Scallop Square set out of red and layered the circle on top of it. Than I die cut a Poinsettia Strip out of red and created my flower and added a yellow pearl in the middle of it. Finally I die cut a Holly Leaves out of green and added it to my flower. As a last touch I added some gesso on some parts of my card just to have a the snowy effect. 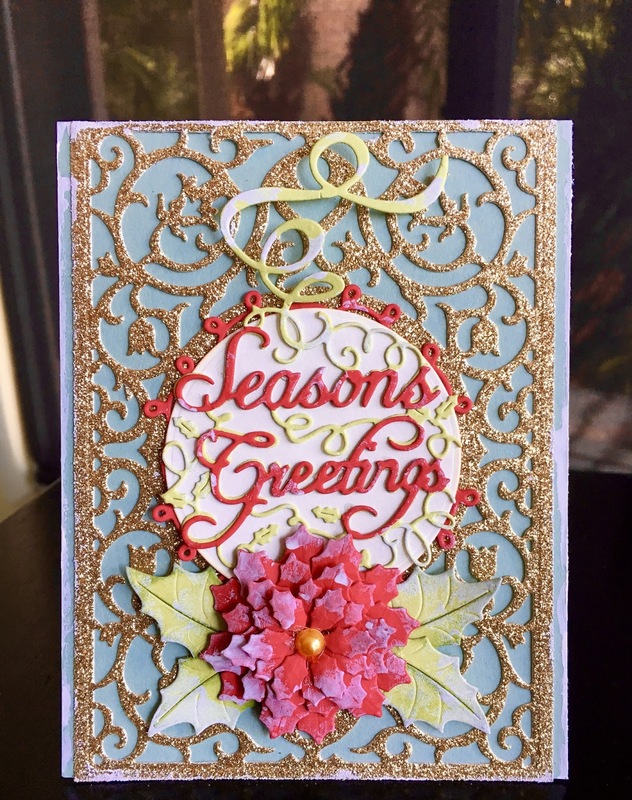 Hope you enjoyed this pretty card and can't wait to see what you share with us using this week's challenge!